Many people think moving homes is a straightforward thing, you pack your bags, call the removal company and everything is good to go. Is that the case? Removal Company goes step by step with you to ensure that your things are moved safely. You may find the whole process of moving being disrupted when only one thing goes wrong. It is, therefore, necessary to take certain steps to avoid making mistakes while moving. To make your moving easier, consider these 7 common moving mistakes to avoid them. You should commit yourself to do better research on your moving company. All moving companies should be licensed and authorized for working within your country. Check their database for any complaints against them. They should give extra assurance that your stuff is protected and if any damage occurs they are willing to cover it. You might think packing the things yourself and convincing your friends to help you pack them in the track will save you a ton of cash. Some moves might make sense depending on the financial point of view the distance to be covered and how much stuff you have. It is always safe to consider hiring a moving company that is reputable. Depending on your contract, you might get some form of insurance, protection of your stuff and liability coverage. Moving companies may also provide packing facilities for delicate items and may also disassembly some large pieces of furniture. Hiring moving companies is no loss of cash considering you’re moving across the state line. Damages like aches, muscle strains, and the cost of fuel will all be upon you. Always consider the help of professionals. This one of the biggest mistakes you can make whenever you moving. While packing your items in the boxes, make sure to take a list of the items in the box, make the box itself and address what room of the new house they should go. A good list of these items will serve vital purposes while you moving. It will save you time when unpacking and you will stress-free knowing that all your stuff is in good order. This is another mistake some movers make. You don’t have to spend a fortune on boxes. This definitely happens when you had not started packing earlier. You get surprised, oh! The moving day is already here. Prepare yourself in advance. Call your best friend and ask for some boxes they are not using. You may also visit some supermarkets and talk to the manager to see whether you can get some boxes for free. Believe you me; this will save you a lot of cash. This is a mistake most of you do. It will not be a mistake if you declutter your belongings once in a while. If you do this before moving it will surely save you a lot of time. Much time wasted when you pack and transport things you don’t need in your new home. You have to unpack and separate them from the stuff you’re in need of. You will save time, money and space in the new home. Understand your insurance options and purchase insurance coverage on your valuable items. Trusting your moving company is one thing but an accident is another different thing. Anything can happen during your moving and it’s better to play safe. Your movers cover only about 60% of any damage that occurs. Can you imagine your 50-inch-flat-screen TV broken and your movers cannot compensate the whole amount? This should be one of the many reasons you should have a talk and make a contract with your moving company. This way, your moving company will be reliable to compensate you for any valuable item that gets damaged or missing. • Dressing properly, use comfortable shoes and clothes that will keep you comfortable through the whole process. • Keep small children and pets away while moving. You may ask your friend or someone you trust to stay with them. • Clear the path to prevent obstacles and hazards. They say mistakes are a bridge to experience and inexperience, but moving out is not a good trial for experience and inexperience. 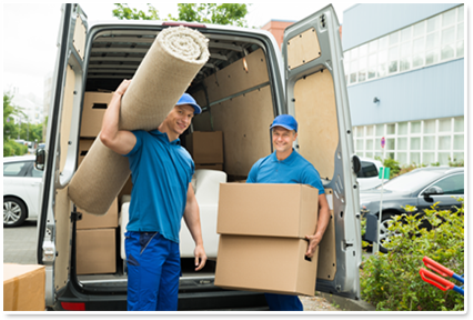 Consider Brisbane company anytime you want to move your items safely. Don’t wait to go through this mistake when you have the right partner to help you. Avoid the mistakes and save time and money.